Losing your social security card can be a scary thing. You might start panicking and wondering what to do next though you shouldn’t get there. Most times, you just need to remember your number and not present it physically so you won’t feel the pressure to get it replaced. You might need it if you get a new job or if your employer asks to see it. If you don’t know the procedure used to make the replacement, you can visit https://www.application-filing-service.com/socialsecuritycard/replacement-social-security-card-child/ website for more information. In today’s digital age, identity theft is happening more frequently. Once you lose your card, it is important that you take the necessary precautionary measures to protect yourself. Immediately you know that your card is lost, you should put a freeze on your credit reports so that someone doesn’t open new accounts with your name. This can also prevent someone from accessing your credit. You should avoid carrying the card around with you unless it is necessary and you will need to have it in person. One way to have the number is to take a photo of it and save it to your mobile phone. Avoid putting your number in a public place where others can see it like on your health insurance card. 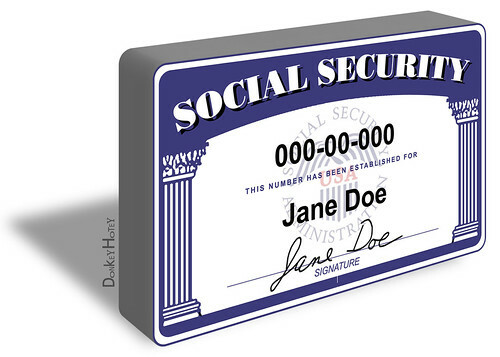 Your driving license number shouldn’t be the same as your Social Security number. The first step you need to follow when applying for a replacement is to make sure that your papers are in order so that they can make sure that you have proof of citizenship. Documents that will be accepted to show that you are a U.S citizen are your birth certificate, passport, certificate of citizenship and a certificate of naturalization. If you are not a U.S Citizen, they might need your U.S driving license, U.S Passport, or a state-issued ID. Failure to produce these documents means you can’t make the replacement within ten days. The Social Security Administration might require you to provide your Employer’s card, school ID, Health Insurance Card, or an Adoption Decree. You must produce original documents or copies which have been certified by the agency that issued them. If you go with a receipt which shows that you applied for the papers, they will not be accepted. Once you have all the documents ready, you can now start the process of making the application. Keep in mind that you can send your application documents through the mail, or you can do it online. Some states don’t accept applications which are sent through the mail but will take them if you drop them in person. Before making the registration, make sure you confirm if your State is one of them. Also, send them by certified mail so that you can be alerted when the documents are received. When making the application online, your records in the Social Security database will be verified with your U.S citizenship records.